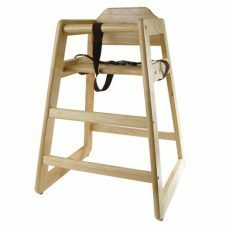 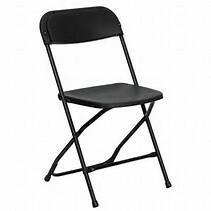 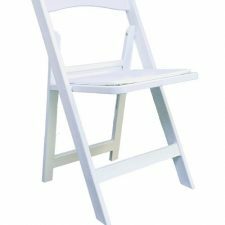 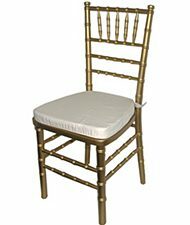 Our economy folding chair. 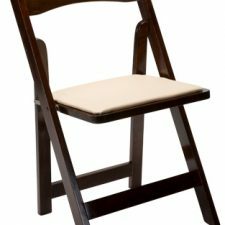 Brown polypropylene seat & back with metal frame. These chairs are very comfortable & stack for transport. 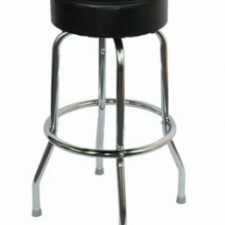 Metal bar between back legs to prevent sinking in grass.